Get images that make supersized seem small! 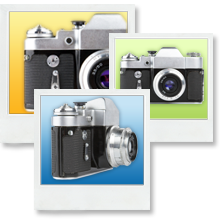 Auctiva's powerful and reliable image-management features make it easy for you showcase your items and increase your sales. Nothing generates sales like crisp, high-quality images that let your buyer clearly view the item they are bidding on or buying. Auctiva lets you enhance your listings with 24+ images that are as simple to add as a couple of mouse clicks. Also, since buyers appreciate the ability to look closely at your item before they decide to buy, Auctiva provides a Supersized image capability to you at no extra cost. You can resize your images after they are uploaded, and Auctiva gives you the tools to protect your valuable images by watermarking them, and by protecting them from unauthorized "saves." Sign up with Auctiva today to start utilizing our FREE image hosting services and get more out of your eBay listings! † Additional image hosting is available at $9.95/month per 500 megabytes. See Terms of Service for details.